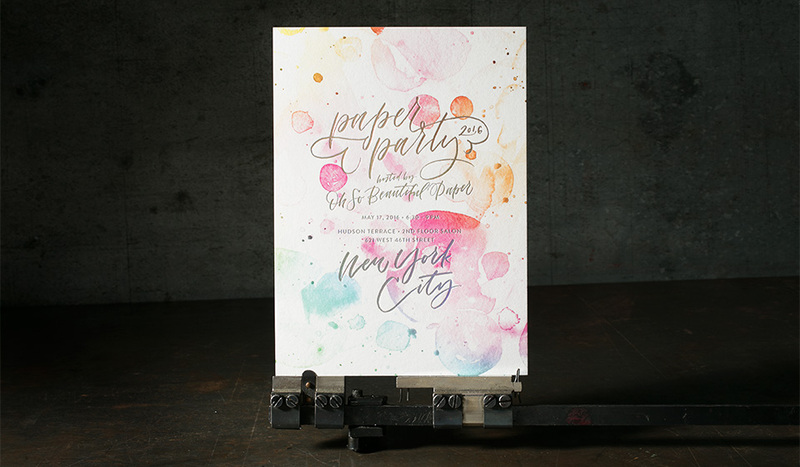 digital printing and foil stamping. 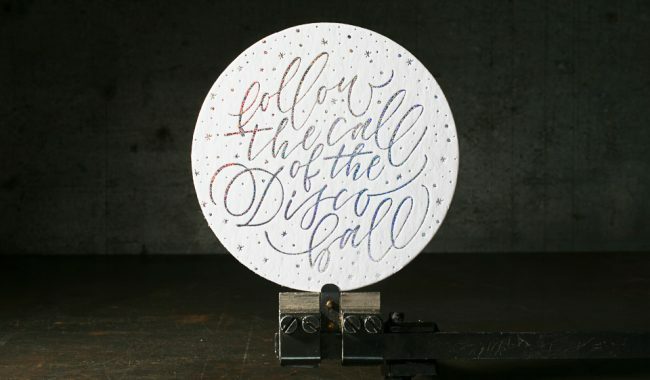 Printed on Bella Figura’s 1-ply Bella Smooth white cotton paper + 50 point Coaster stock. 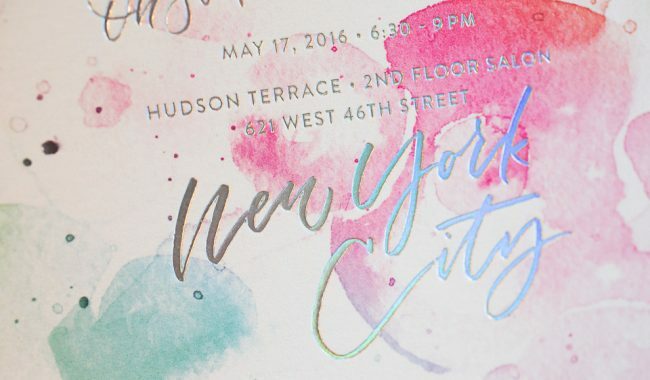 CMYK + Micro Glitter Shine foil + Spectrum holographic shine foil. printed on our HP Indigo 5600 + our Kluge 14×22. 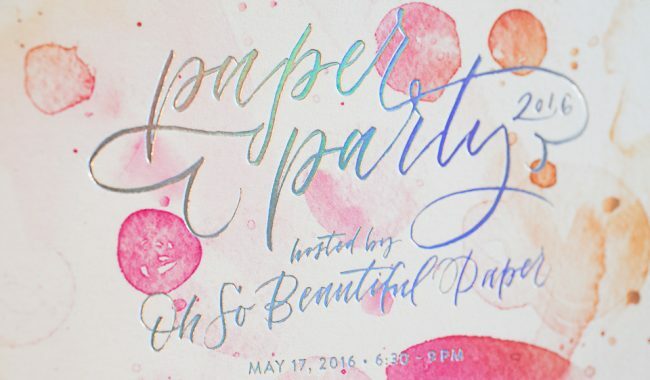 Nole approached us to print her 2016 Paper Party invitations with the goal of incorporating a holographic foil to match her iridescent rainbow disco party theme. 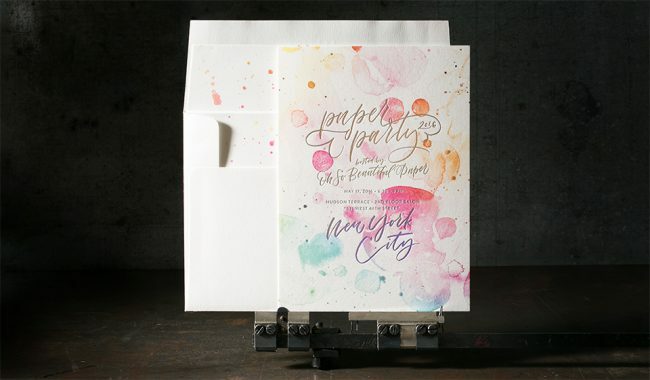 We created a party invitation (5.25″ x 7.25″) on smooth white cotton paper that incorporated digitally printed, hand painted watercolors with shimmering Spectrum holographic shine foil. 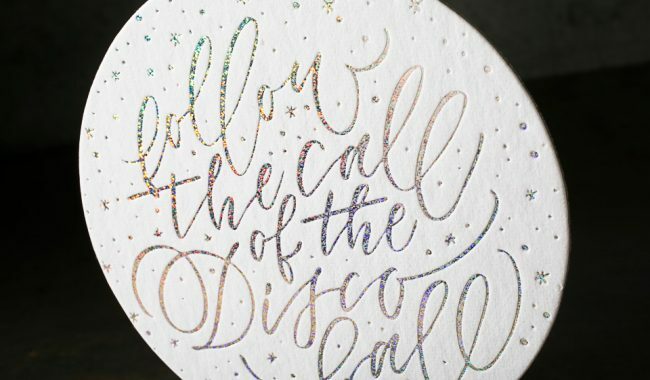 Digitally printed envelope liners were created to match, and we also printed holographic foil stamped coasters for the actual event (this time using Micro Glitter Shine foil).